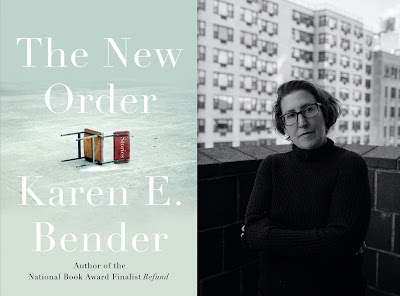 In the 26th in a series of posts from authors of 2018 books entered for The Story Prize, Karen E. Bender, author of The New Order (Counterpoint), shares her thinking. There is the truth that you want to hide, that you think others will turn away from. Combating shame is your currency, your work. It doesn’t have to be a dark truth, though it can be—you can describe a joyful truth, a crooked truth, a funny truth, something that hasn’t been said about the world and that you want to hear. Everything that hasn’t been said—you can say it. Writers reinvent the world, create ways of seeing, through their precise way of depicting what is around them. All you need is your own insight and bravery. You are combating the lies in our culture—all the clichés, all the ads, all the statements people say to explain their world but not yours, not exactly. And lies are so grating because you secretly know that your experience is valid, and that it is right, too. 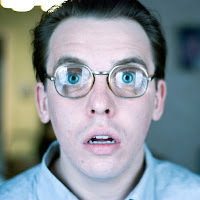 The world feels different when you describe it with that specificity, that correctness. It feels brighter, lighter—mostly, it feels real. When you describe the truth about the world, the world snaps awake. So tell a truth in whatever way you want to. You can tell it through fiction, in which honesty is not literal but is emotional, and needs to feel true. You can tell it through nonfiction, which is literal truth created by you. Your truth may not be other people’s, and that is fine. It’s not supposed to be. But others may hear your version and say, yes. That is how I move through the world as well. That moment, that connection, is what bonds writers and readers, what nourishes you as a writer, more than anything—it’s the closest we get to knowing what it is to be another person. You shape the world with your truth. It’s waiting to be shaped by you; this is your opportunity. This is the funnel for your honesty. The way you shape it into a precise container. For art isn’t unshaped life, it is life that feels more vibrant than life. What is the question you want to answer, how are you going to shape your story to answer it? How are you going to use all of the tools at your disposal—sensory detail, dialogue, scene, plot? Play with these craft elements, use them. Don’t feel that you can only be good at one element of craft. If you are a sensory detail person, you can also become a dialogue person. You may hate thinking about plot but it can become your friend. Read many different authors and see how they use these tools. Also, read sentences out loud and see how the words feel as you say them, how the rhythm of the sentences resonate in you. Being a writer means that much is out of your control. Magazines may accept or turn down your work. Readers may connect with your work or dismiss it. You can’t control how others respond to your manuscript. But you can control your process of revision, how you nurture your work. Take the time to write a story once, twice, as many times as you need to reshape it. Do it again. Be resolute. Be ambitious. Be fearless. As a writer, your power is in your patience. That’s what you can control—the process, your vision, your words.